The app's new Smart Schedule helps you set due dates based on urgency, productivity patterns and workload. 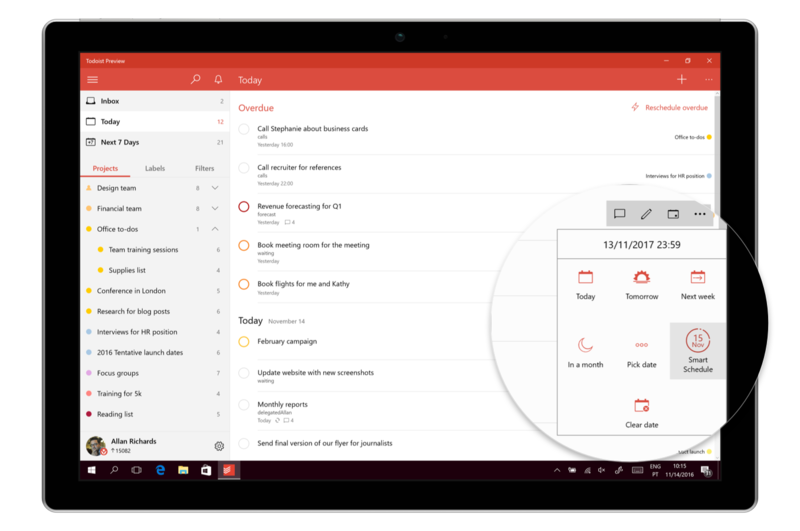 The folks at Doist, the company behind the popular productivity app Todoist, regularly add features to help boost its users' workflows. After tasking Alexa with the ability to add items to lists last month, the company has an update for its stable of apps that will help you stay on top of your obligations with the help of AI. The latest version of Todoist includes Smart Schedule, a feature that analyzes factors like task urgency, how you've completed items in the past and your upcoming workload before suggesting a due date for an item. Doist says it researched how users postpone tasks in what it calls a "snowball," constantly pushing things to the next day or week until their to-do list is packed with dozens of items. This editor is certainly guilty of that. Once you hit a certain point, that list becomes much less effective in helping you prioritize your day or ensuring that you're completing tasks in a timely fashion. To help keep the amount of things in your Todoist at a manageable sum, Smart Schedule uses AI to help plan your day and week. What's more, it can help you reschedule those items you don't get around to finishing on time. With Smart Schedule any overdue tasks can be rescheduled as a group and all the stuff that hasn't been given a due date can be slotted in where it fits best. And yes, you'll always have the option of accepting, editing or rejecting the timeline the app suggests. In addition to your work habits, task urgency and upcoming schedule, Todoist Smart Schedule also factors in things like minor items you might be able to take care of over the weekend. Based on how you cross off items in the app, the new tool estimates when you stop completing tasks and will no longer suggest that day as a due date. Last but not least, Todoist will let you set and track goals in terms of how many things you want to get done in a day. The app can suggest due dates to help you meet that mark. The new Smart Schedule feature is available inside Todoist for Android, iOS, Mac, Windows and the web starting today. If your device hasn't alerted you to the update yet, head over to your respective app store to nab the latest version.